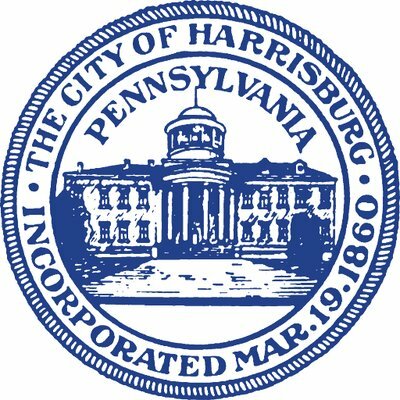 Harrisburg, PA – DiMartino Ice Company will offer live ice-carving demonstrations from 11 a.m.-4 p.m. Friday, March 2 at the MLK Government Center, 10 N. 2nd St. in preparation for Harrisburg’s 2018 Ice & Fire Festival on Saturday. The ice carving demonstration at the MLK Government Center will feature five life-sized ice sculptures, and another 12-foot Ketel One Ice Bar will be carved in front of Sawyer’s, 210 North 2nd St. The five life-size ice sculptures include an eagle throne, cell phone, ice castle, double helix and snowflake. Two food trucks, Soul Burrito and Sprout Stream by Sven’s Café will be available to serve lunch from 11 a.m. – 2 p.m. during the carving preview in front of the City Government Center. The finished carvings will be unveiled at the first Ice & Fire winter street festival, which will be held Saturday, March 3 from 1-9 p.m. in Downtown Harrisburg. The Ice & Fire Festival will feature an ice skating rink on Second Street, dozens of illuminated ice sculptures, a 50-foot winter themed snow mountain slide, toboggan snow tunnel, ice castle with appearances by Elsa, Anna and Kristoff, live musical performances, fire dancers, food trucks, Ketel One ice bar and more. The HBG Flea will offer a winter market in Strawberry Square from 10 a.m. – 4 p.m. All performances and activities are free, including ice skate rentals. Second Street between Market & Pine Street – closing at 10 p.m. Friday, March 2. Walnut, Locust & Pine Streets between 3rd and Front Street – closing 9 a.m. Saturday, March 3. All road closures will end noon Sunday, March 4. The Market Square garage will offer $10 special event parking from 10 a.m. – 10 p.m. In addition to the discounted garage rate, attendees can utilize the ParkMobile App to get up to 4 hours of free street parking using the “LUVHBG” code.